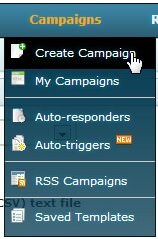 Step 2: Hover over the Campaigns section of the menu bar and choose to "Create Campaign"
Step 4 - Select the Editor: On this page select the WYSIWYG Editor. 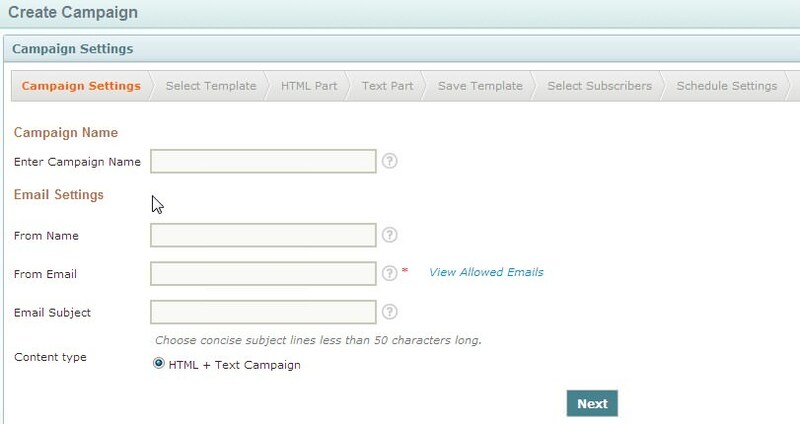 Step 6 - Verifying and Modifying the Text Portion of Your Email: Once you've edited your campaign to your liking click on the "Next" button. You will then be taken to the "Edit Text" step. Please take a moment to make sure that the text portion of your email campaign is the same as the HTML version you just created (It should be as this text portion is pulled directly from the previous step). 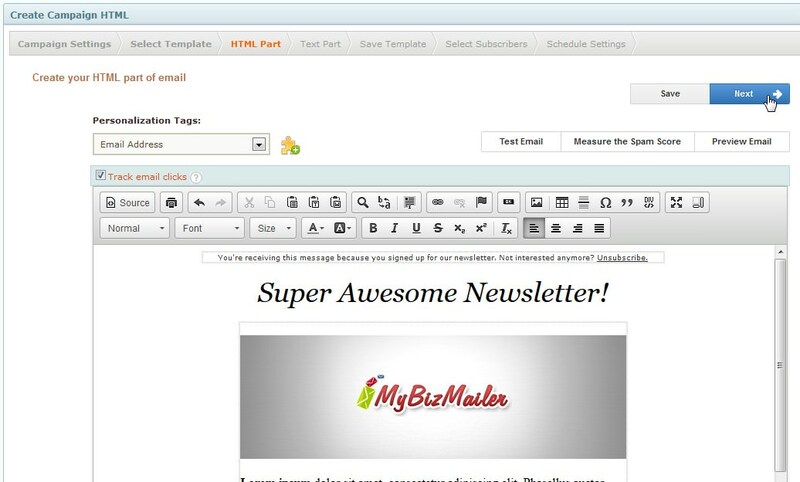 Once you're happy with the Text portion of your email campaign click on the "Next" button. Step 7: You can save the email that you just created as a template for future use. If you'd like to do that enter a name for the template in the "Template Name" input field and then click the "Save Template" button. If not you can just click on the "Next" button. 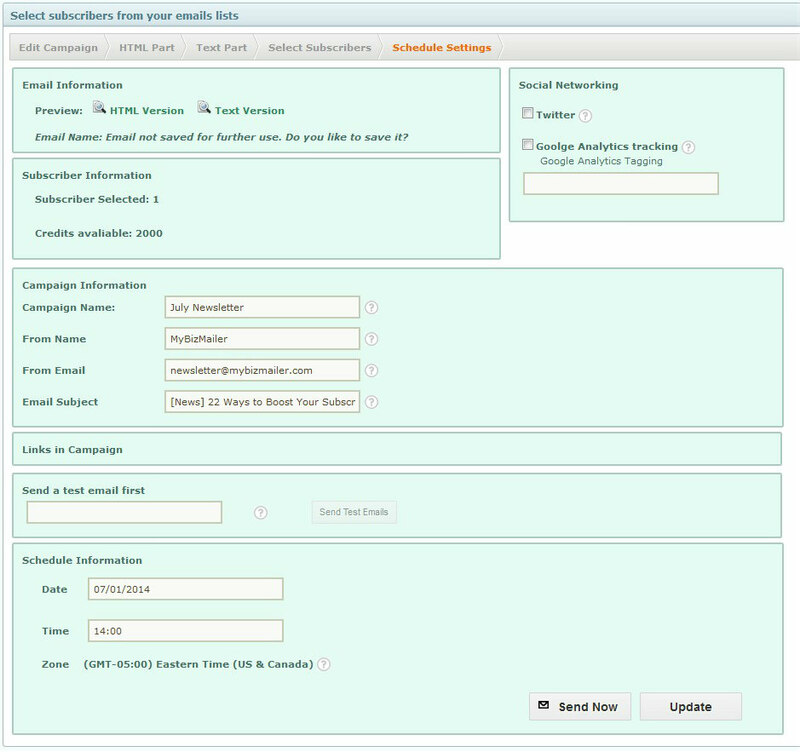 Step 8 - Select Subscribers: Once on the "Select Subscribers" page you have the ability to pick and choose the subscriber lists that you want to send your campaign to. Select the list(s) that you want to send this campaign to and click "Next" button. Step 9 - Schedule or Send Now: After you've selected the subscribers lists for this campaign you will be taken to a page where you can verify all the elements of your campaign, include social status update functionality, add google tracking elements and finally schedule the time that this campaign should be delivered to your subscribers or Send it now. If you want to send the campaign right now click the "Send Now" button.